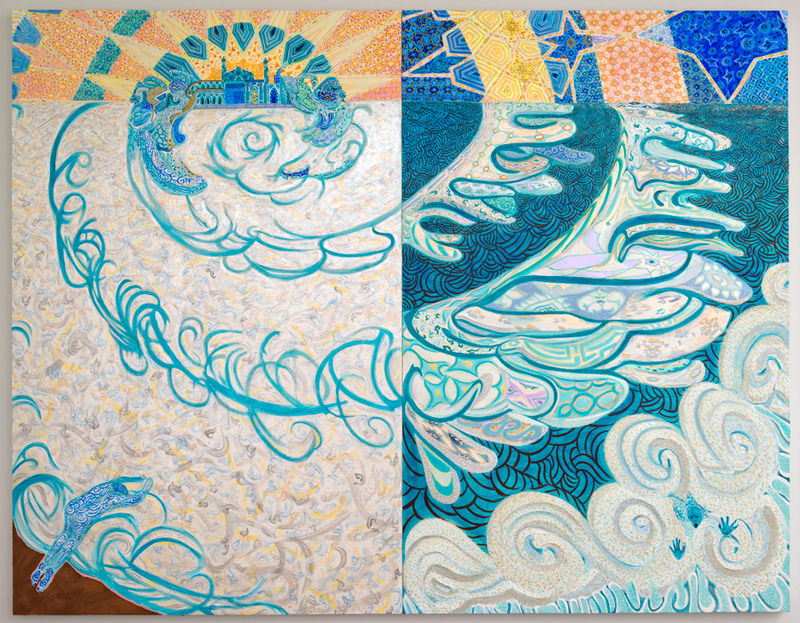 Gesso, acrylic and glitter on canvas stretched on panel (diptych), 84 x 108", 2013. 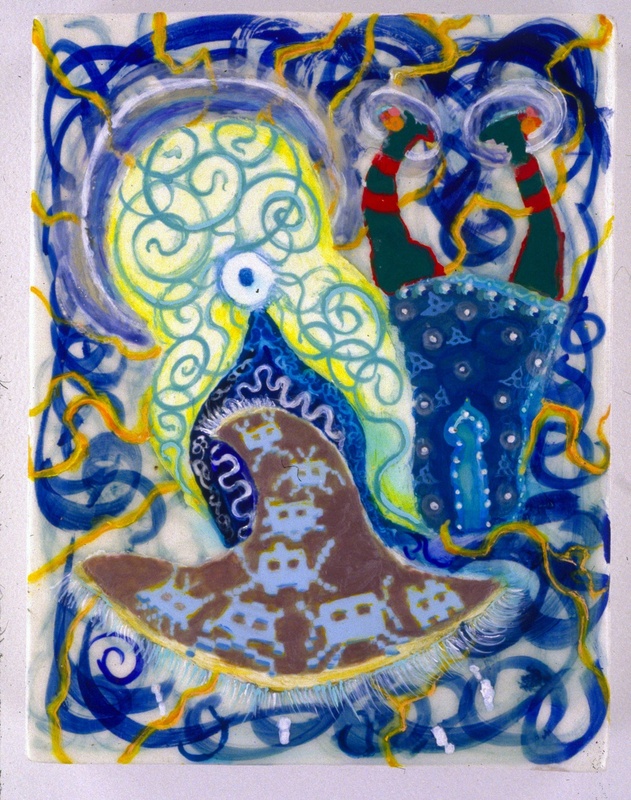 Gesso, acrylic and glitter on canvas stretched on panel, 60 x 90", 2012.
from Pride and Fall, Solo Exhibition at LTMH Gallery March 2009. From solo show, Pride and Fall, Leila Heller Gallery, March 2009 (featuring left to right The Source, The Fall…, Bridge To Nowhere). Gesso, acrylic and glitter on panel, 60” x 36”.